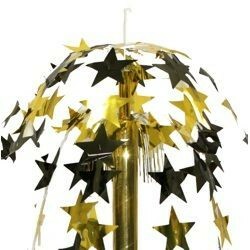 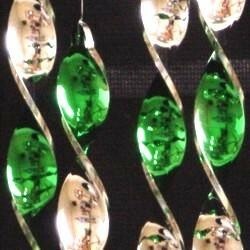 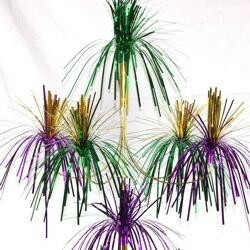 Check out our wide assortment of Mardi Gras Chandeliers and Fountains - cascade fountains, gold chandelier, hanging decorations, and mirror balls. 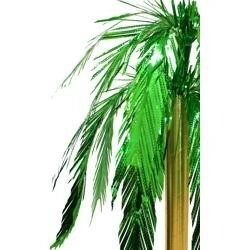 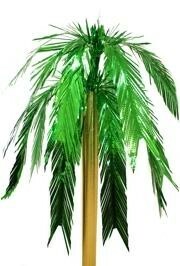 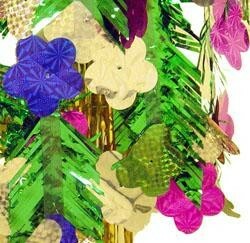 Add tropical flavor to your party with hangable metallic Hawaiian flower decoration. 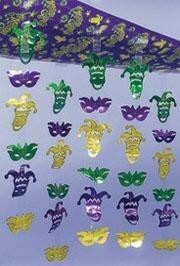 12ft Long x 12in Wide Polyplastic Mardi Gras Ceiling Decoration. 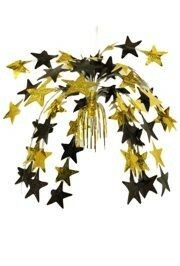 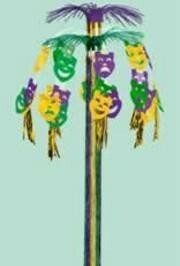 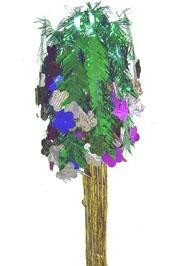 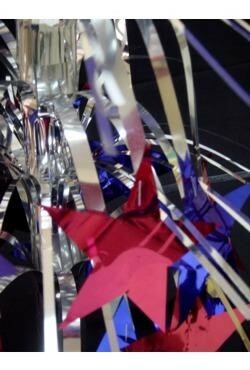 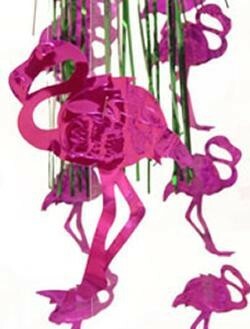 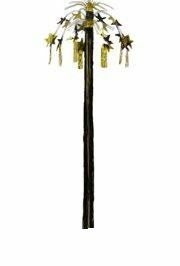 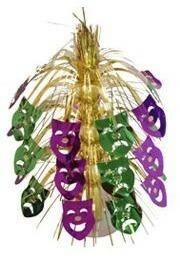 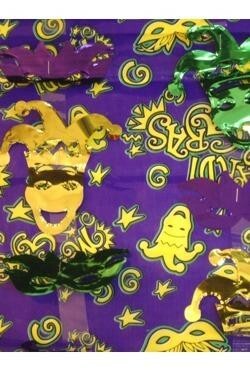 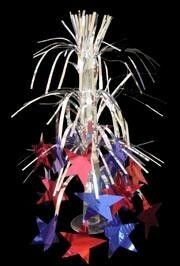 Includes 20" strands of assorted Mardi Gras symbols dangling from a 12 ft. x 12" plastic sheet. 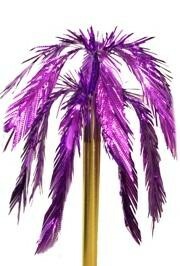 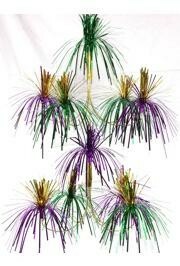 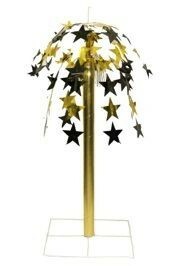 Finish your Mardi Gras party decoration with the purple green and gold cascade fountain. 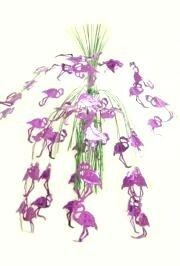 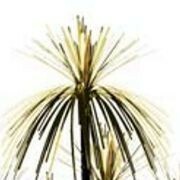 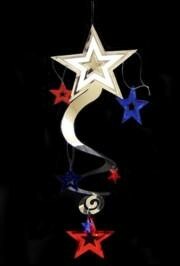 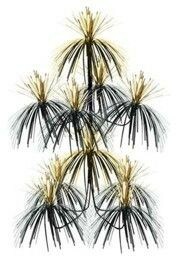 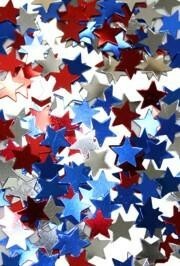 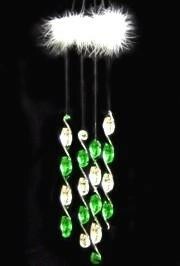 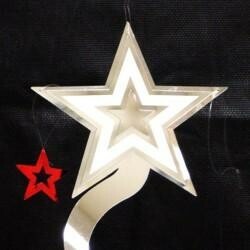 Hang it from your ceiling indoor or from a tree outdoor. 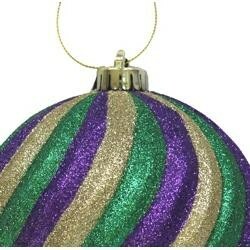 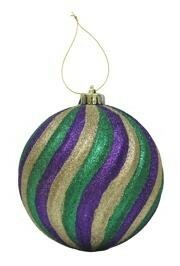 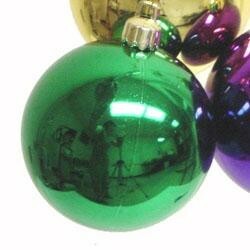 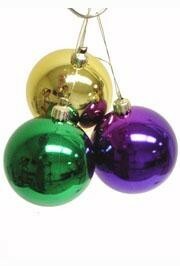 A round metallic, purple, green, and gold hanging decoration. 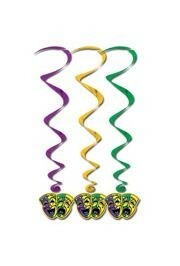 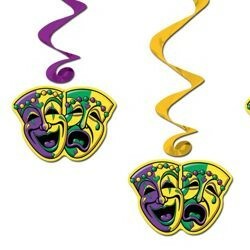 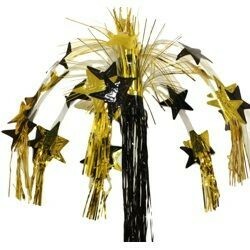 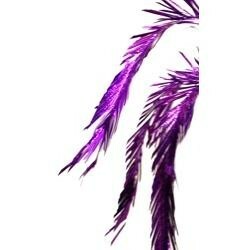 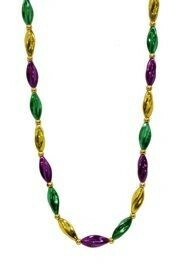 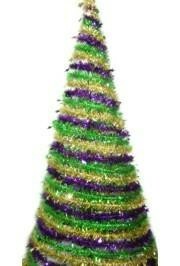 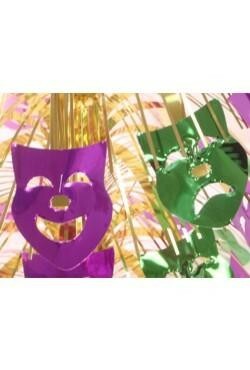 This is perfect for Mardi Gras party and float decorating.